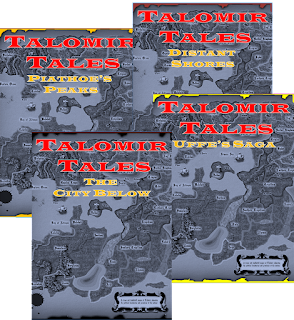 The nice thing about Talomir Tales, regardless of which Full book you get, they can be used with ALL of the current and future scenario books. 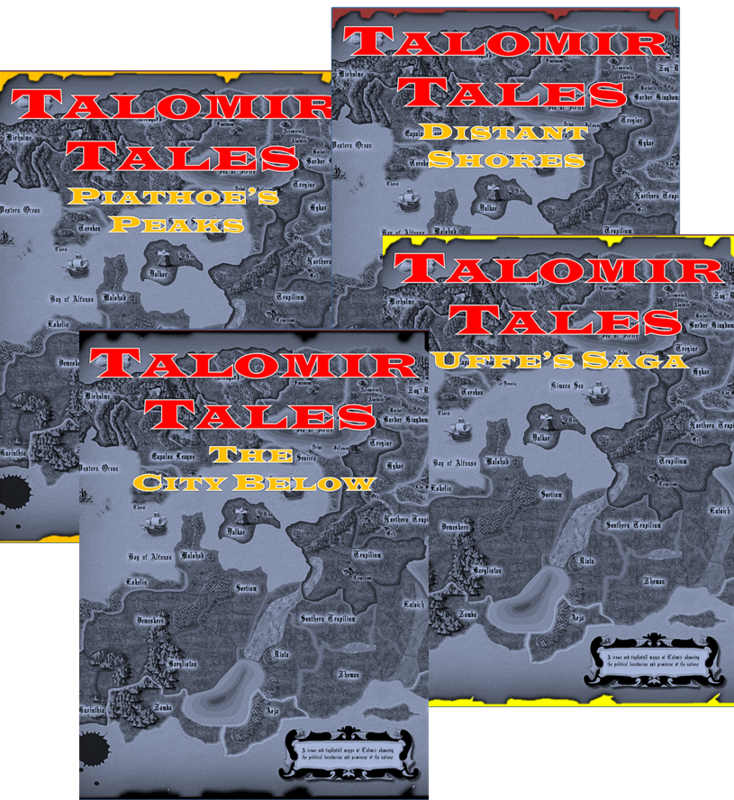 Talomir Tales is all about the Story, your Story, so we've streamlined Character Creation to get you going with little work. Only seven things are used to create the Character requiring only one 2d6 roll (Random Attribute), you choose the rest. Star or a Grunt? Your personal Character is a Star. Race? I'll take a Human. Attribute? Stars can have 3; one you choose, one rolled randomly from the 30 Random Attributes, and one for the Class. I roll Swordsman (melee) and choose Smooth (interaction). Alignment? I choose Neutral over Red Sun or Black Moon. Reputation? Stars are Rep 5. I decide to use Skills too. People Skill is 5, Savvy will be 4 - based off of Rep.
Class? Nine to choose from, I'll take Thief. Gives me the Clever Attribute. Armor Class? Three types, lowest AC 2, highest AC 6. Clever, Swordsmen, and Smooth Attributes. Your Band can be as large as your Rep, including yourself. So when your Rep goes down you have to cut a member loose. When it goes up, you can recruit another. You can't have Grunts with a Rep higher than yours and if theirs go up or yours goes down, they will leave. You have to meet Grunts to recruit them and this is done by Interacting with them during an Encounter/Scenario.